"We are delighted to be extending our commitment to moms beyond the P&G Family Home. We hope that this gives moms a once-in-a-lifetime opportunity to watch their children achieve their dreams of competing on the world’s stage." TORONTO--(BUSINESS WIRE)--Marking one month until the start of the Olympic Winter Games, Procter & Gamble (NYSE:PG), a Worldwide Olympic Partner and the company behind everyday brands like Olay®, Tide® and Duracell®, today unveiled the short online film and new commercial, “Pick Them Back Up.” The film is a sequel to the company’s groundbreaking “Best Job” film, which debuted at the London 2012 Olympic Games and garnered more than 21 million views. The company further demonstrated its commitment to moms by announcing the P&G Family Home. P&G brands will support and serve all moms and families of Olympians in Sochi, including Shanne Matthews, mother of Canadian Freestyle Skiier Rosalind Groenewoud and Cheryl Simundson, mother of Canadian Bobsledder Kaillie Humphries, both of whom are members of the P&G family of athletes. “Pick Them Back Up” will appear in short form as television commercials in more than 20 countries across the world, including on national networks across Canada with the film in its entirety available online at www.pickthembackup.ca. The film also features music created by the same world-renowned composer from “Best Job,” Ludovico Einaudi. Known for his emotive and effortlessly lyrical music, Einaudi’s new composition evokes the love, passion and commitment that moms have for their children. Located in the Sochi 2014 Olympic Park, the Family Home will be open from February 8th through the 23rd offering moms and families all the comforts of home. Brands like Pantene, COVERGIRL and Gillette will be providing more than 1,000 beauty and grooming services, while Pampers will be offering changing services for families with young children. 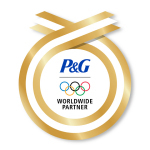 “Just as P&G brands like Pampers®, Crest® and Tide are with moms every day, our brands support moms of Olympians in the P&G Family Home with the everyday services that make an extraordinary difference when a family is far from home,” said Lachman. 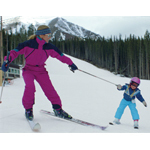 The company is also sending moms of Olympians from more than 20 countries to Sochi 2014, including Shanne Matthews, mother of Canadian athlete Rosalind Groenewoud, and Cheryl Simundson, mother of Canadian athlete Kaillie Humphries. Additionally, P&G will celebrate and thank all moms of all Canadian athletes with a special gift that will help them not only tackle everyday challenges but also give them the means to stay in touch and connected to their child no matter where they are in the world. Each mom will receive a special package filled with her favourite P&G products from brands like Tide, Crest and Swiffer®, as well as a brand new 8-inch tablet, which will help moms stay in touch and focused on their child even if they are almost 10,000 kilometres away. P&G’s Thank You Mom campaign kicked off in October with the release of “Raising an Olympian,” a video series showcasing the journey of 28 world-class athletes, as seen through the eyes of their moms. The videos have collectively garnered more than 19 million views since the launch. 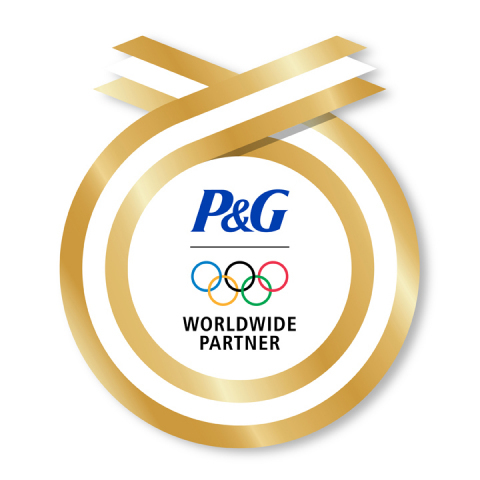 The campaign is also coming to life through a variety of media channels and in-store where two million retailers are featuring Olympic Winter Games-themed P&G products, as well as branded end caps and displays. For a full list of assets and information related to the P&G Thank You Mom campaign, including photos and video, visit pg.ca/moms.